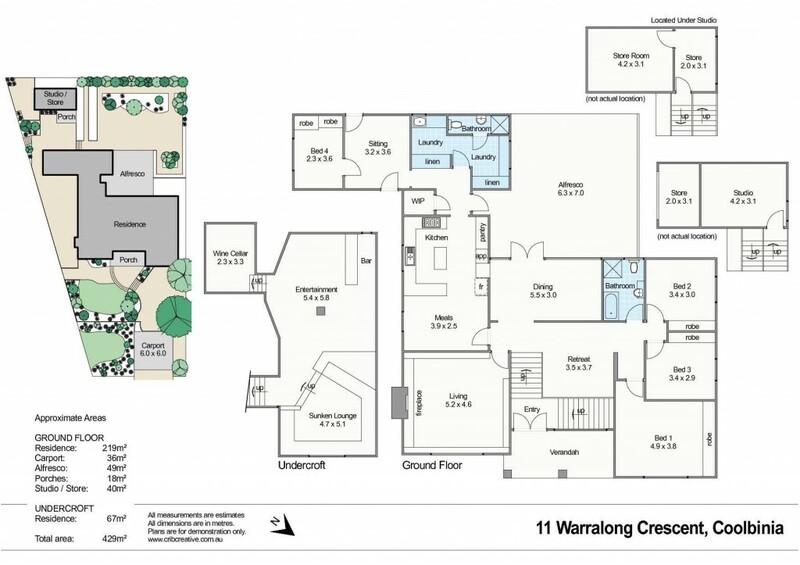 11 Warralong Crescent represents an exciting opportunity for an astute buyer to secure a substantial home with a versatile layout, on over 1000m2 of land in a blue chip location. Split-level living offers an array of delightful spaces for all family members to enjoy. The expansive undercroft entertaining area and wine cellar is simply fabulous and gives new meaning to the term sunken lounge'. Art lovers will be delighted by the wall space and timber picture railings to display their treasured works. Impressive full-height entry doors, timber panelling, built-in cabinetry, stucco rendered walls and a brick floor in the dining room are just a selection of elements that add colour, warmth and originality to this fabulous home. - A concrete pool can be reinstated. The pool is currently filled for a lower maintenance option. Closest Park - a stroll to the beautiful Bandy Park.